Epsom College U13A netball girls turned up to Kingston Grammar School ready to try and secure a place in the County Finals. The first game was against St George’s. It took some time for the girls to warm up and a few passing errors meant they were unable to gain a substantial lead and instead the game ended in a draw. A special mention to the defence, who did very well to stop St George’s scoring in the last few seconds of the game. The girls gave a solid performance in their second game of the day against Kingston Grammar School, with the score ending in a 13-3 win to Epsom. The girls were focused and the attacking unit worked well to get the ball to the circle edge to feed Eva Sesay (Hu) and Amelia Burke (Wa). The shooters were on fire and were getting shots in from all ranges. The defence worked hard to limit the opposition to only scoring three goals, which is a great achievement in 12 minutes of netball. Grace Gardner (GH) and Gabby Sesay (Wa) worked well together and increased the pressure on the shooters. The momentum continued into the next game which the girls won against Riddlesdown. 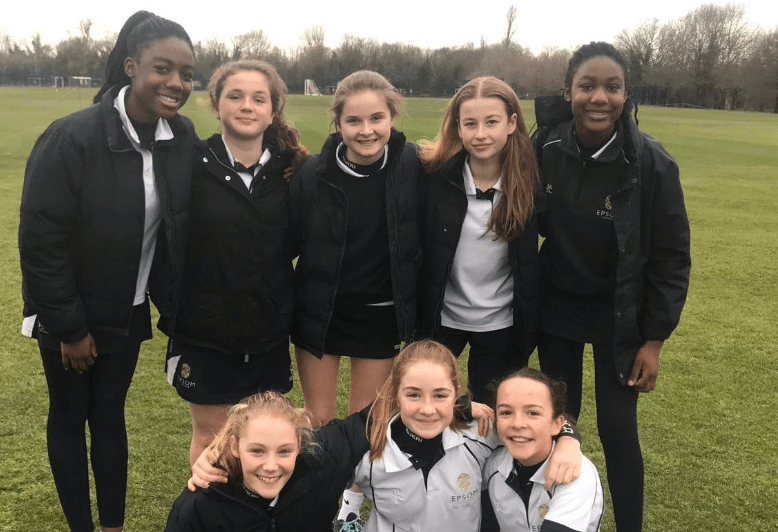 During the fourth game against Emanuel, the girls started strongly, however lost their structure in the second half and allowed Emanuel to come back from 4-1 down to claim a draw. Mistakes had crept into the girls’ game and after a team talk the girls refocused and went on to win the next two games against Alleyn’s and Woldingham. The best performance of the day was against Woldingham, where the girls finally played with some excellent structure and did not panic or rush the play down the court. Feeds from Yasi Fryer (Wa), Ella Stephens (Wa) and Freya Johnson (GH) were great and they kept their heads and composure. Amy Henwood (Hu) played a solid WD throughout and made interceptions at crucial times. Four wins and two draws gave Epsom enough points to finish top of their group and progress on to the County Finals. A very successful day, where the girls worked hard for each other and thoroughly deserve a place in the Finals.